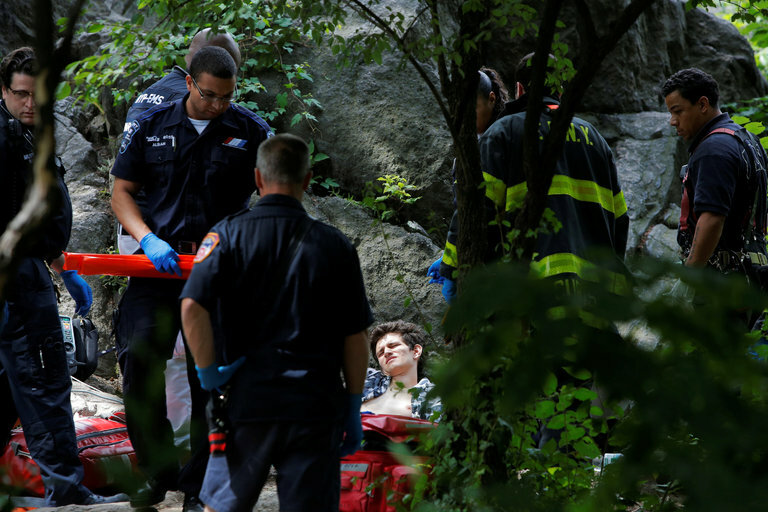 New York, New York—The NYPD and the Bureau of Alcohol, Tobacco, Firearms and Explosives are asking for the public’s help with the investigation into an explosion in Central Park that severely injured a male victim. Up to $40,000 in reward money is being offered for information that leads to an arrest and conviction in the July 3, 2016 incident, which occurred on a rock formation near 60th Street and 5thAvenue. In addition to tips, investigators are seeking photos and video taken in the vicinity of the incident location in the hours and days before the explosion occurred. “We want our parks and public spaces to be safe for everyone and we want justice for the victim,” said ATF Special Agent in Charge Ashan M. Benedict. The public can also submit their tips by logging onto the Crime Stoppers website atWWW.NYPDCRIMESTOPPERS.COM or by texting their tips to 274637 (CRIMES) then enter TIP577. The public may submit tips to the ATF at 1-888-ATF-TIPS (283-8477) or by email at ATFTips@atf.gov. All tips will be kept confidential.